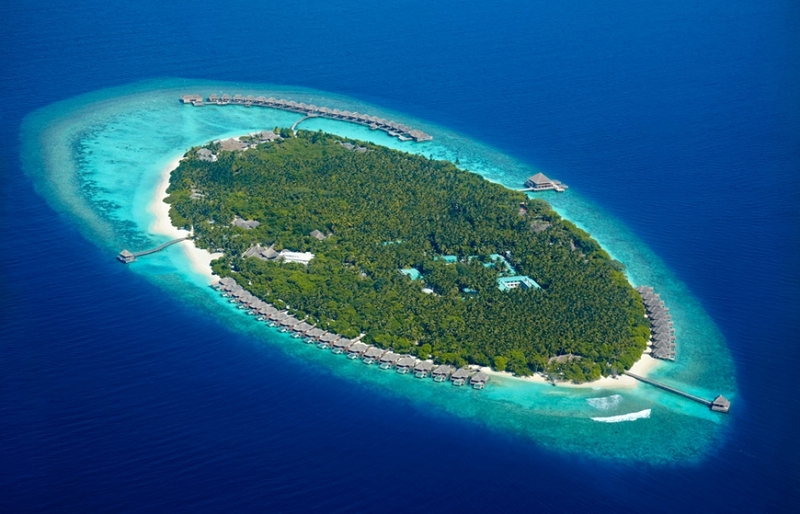 Maldives provide some of the best opportunities for embarking on an underwater safari, but even here there are some areas that are truly exceptional. 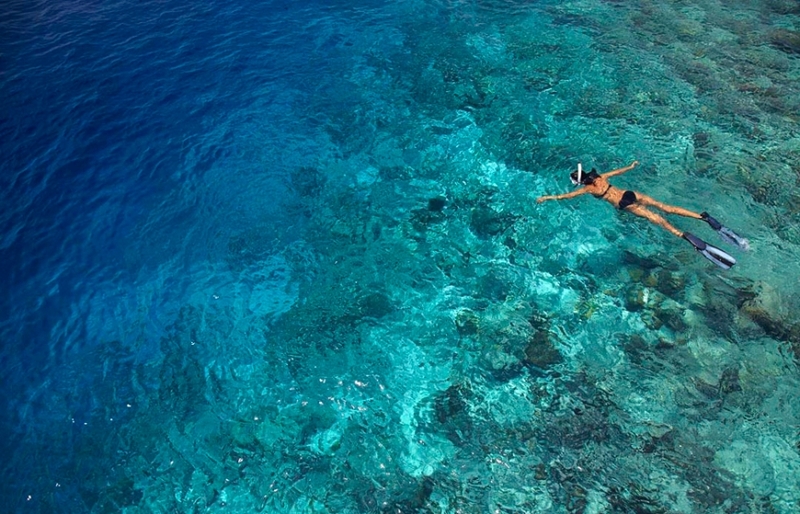 The waters around the Mudhdhoo island, home of the Dusit Thani resort, are just that. The Maldivian Baa Atoll is blessed with the underwater life so rich that it has earned the status of UNESCO’s Biosphere Reserve—the first and only marine site in this island country to do so. The luxury resort Dusit Thani is best placed to provide a comfortable access to some of the best diving sites in the area. The Atoll is home to the full spectrum of marine life: from the smallest clownfish (of the ‘Finding Nemo’ fame) and schools of bannerfish and big-eyed trevallies, through reef sharks, turtles and dolphins and rays—to the gentle giants of the sea, the shark whales. 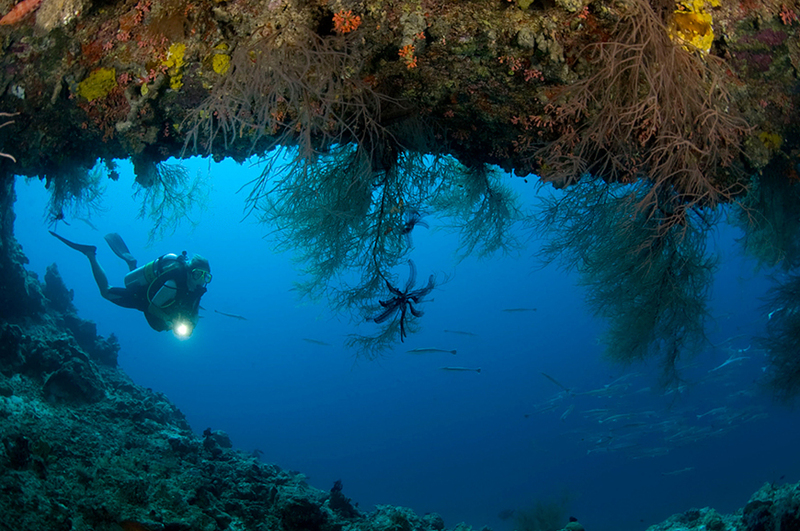 It is possible to discover most of this just by snorkelling, but only divers will be lucky to experience the real magic of the underwater world. 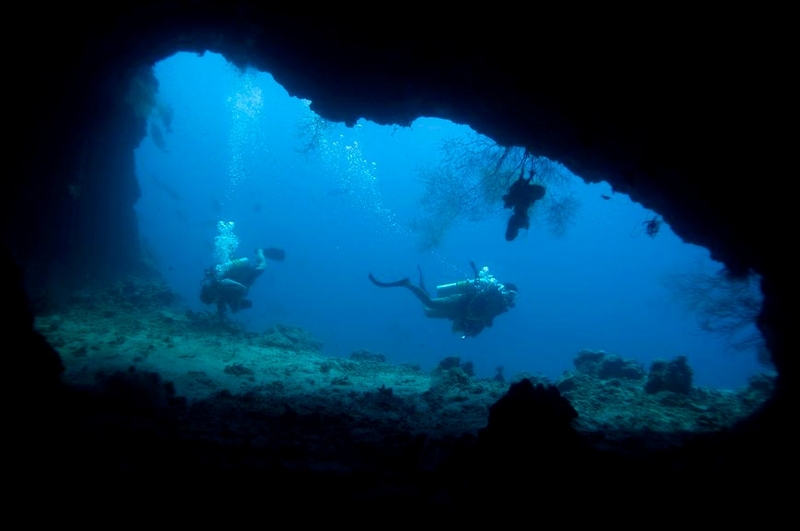 The remarkable house reef around the island even has underwater caves. These wonders are the biggest attraction of the Dusit Thani resort. 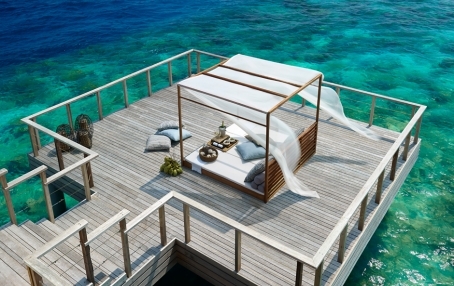 “No other place puts us at distance to the everyday life quite like Maldives and Dusit Thani certainly contains all the right ingredients of the idyllic island experience”—from our review. The island itself is the typical slice of paradise: an outcrop of a snow-white sand topped with the lush forest of palm trees, all seemingly floating on the sea of shimmering blue. 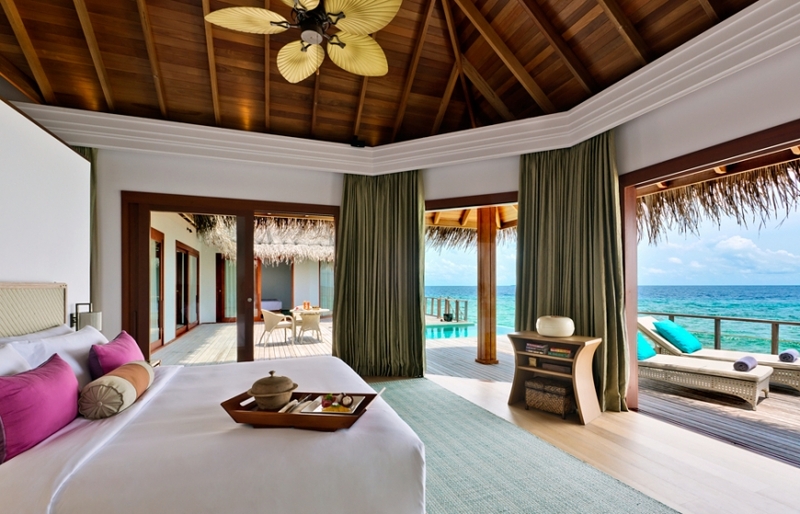 Dusit Thani is fittingly gorgeous and well placed to provide a worry-free idyllic Maldivian experience—with a bit of a twist. 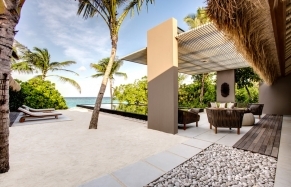 Unusually for Maldives, the resort is inspired by the gracious Thai hospitality and design. 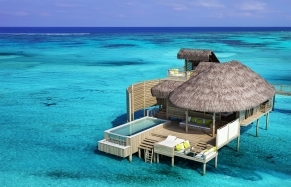 It goes well with the spirit of a luxury destination such as Maldives. Fantastic diving at Dusit Thani is virtually guaranteed—and the onsite Marine biologist is on hand to enrich the underwater adventures with talks on the marine biodiversity. Guests can even take part in some conservation activities and efforts.